Kaddu ki sabzi is one of the popular recipes prepared on Navratri. Add cumin seeds and methre until they splutter. Now add turmeric powder, red chili powder, salt and amchoor powder. Cook for 1 minute and add sugar. Now add pumpkin to it. Cook it for 3 minutes and add water. Simmer for 10 minutes and cook with lid on. 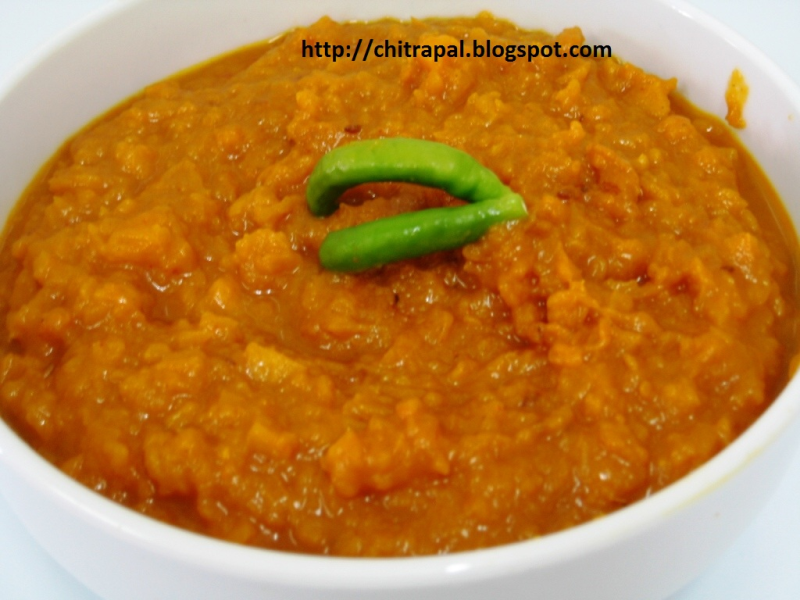 Mash the pumpkin and serve hot. Garnish with dhainya leaves or green chilies.